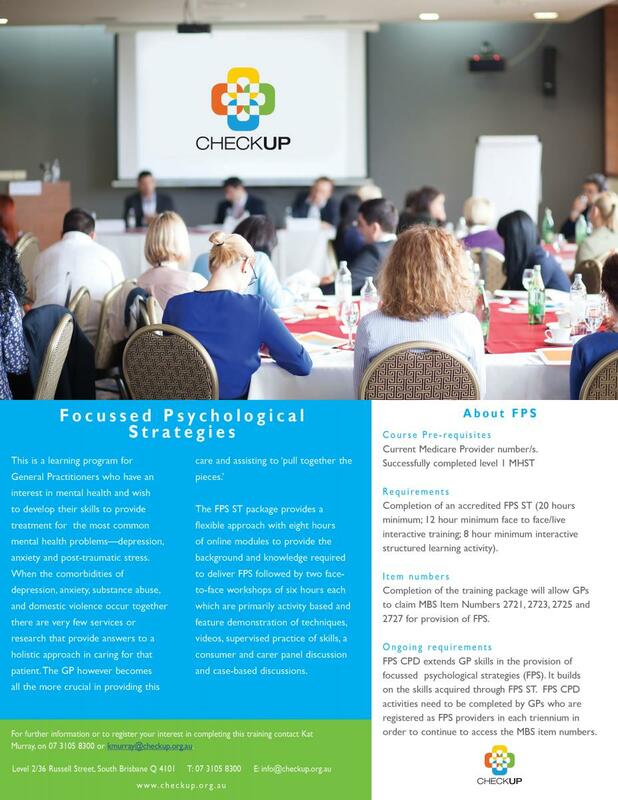 CheckUP’s FPS Workshop program has been accredited and we will be scheduling courses for 2019 shortly. 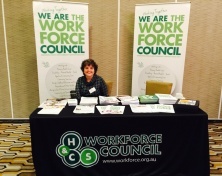 To register your interest contact Kat Murray and we will add you to our wait list. We will advise you when we have a confirmed course date. Successfully completed level 1 MHST. Completion of an accredited FPS ST (20 hours minimum; 12 hour minimum face to face/live interactive training; 8 hour minimum interactive structured learning activity). 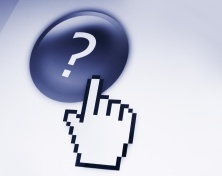 The new CheckUP FPS program will be based on Cognitive Behavioural Therapy (CBT). During the program you will be required to reflect upon your role as the lead Health Professional guiding people through sensitive and critical information. Case studies, role plays and a number of reflective and interactive exercises are used throughout the workshop to solidify learnings and engage participants. 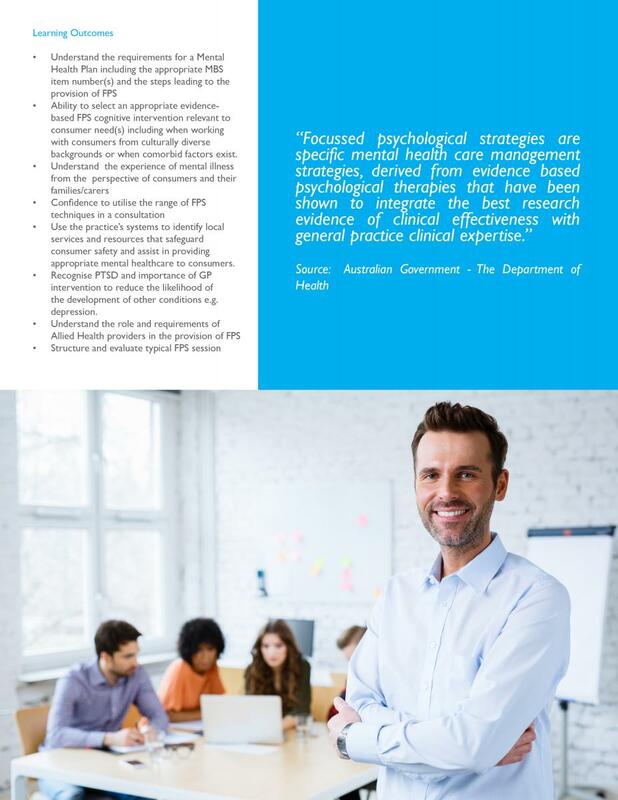 FPS CPD extends GP skills in the provision of focussed psychological strategies (FPS). It builds on the skills acquired through FPS ST. FPS CPD activities need to be completed by GPs who are registered as FPS providers in each triennium in order to continue to access the MBS item numbers.